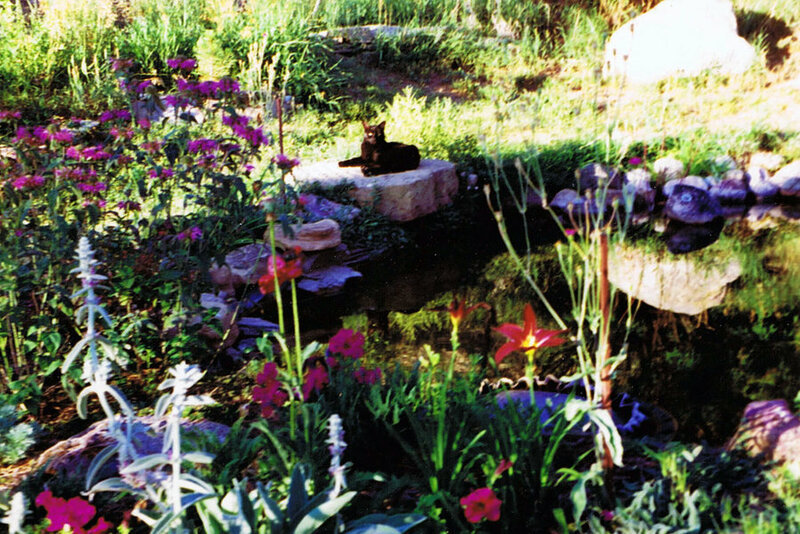 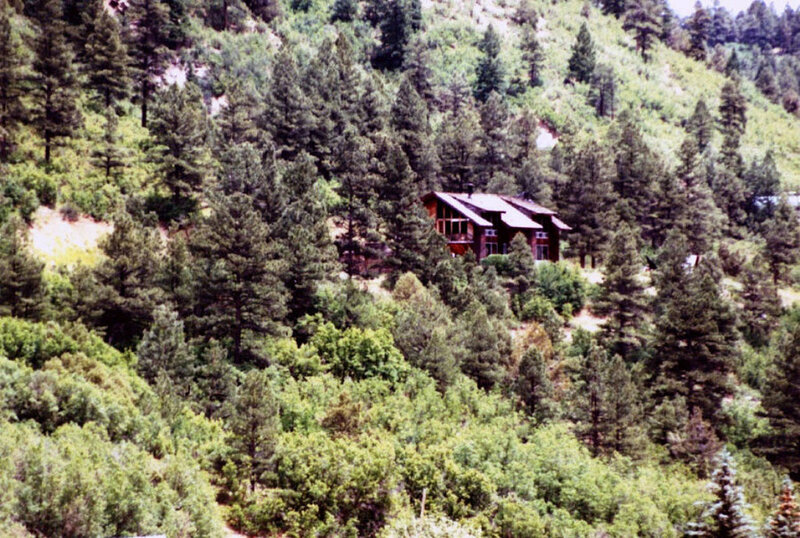 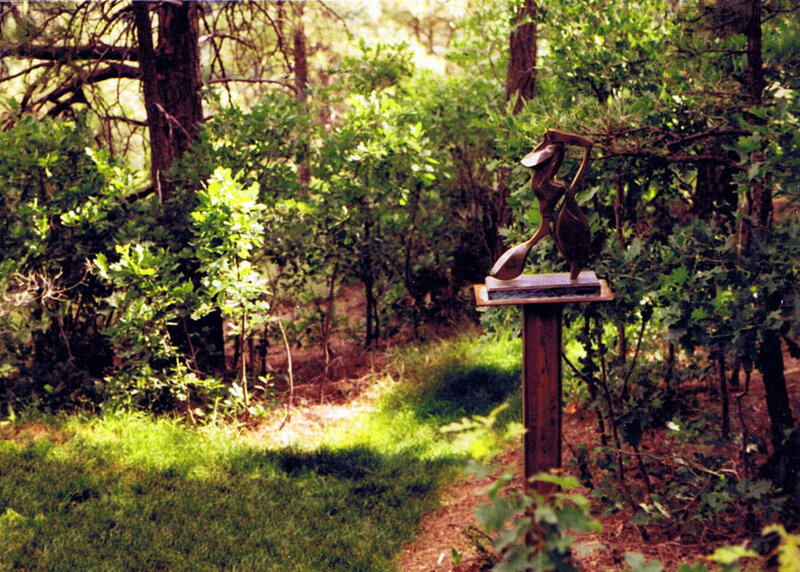 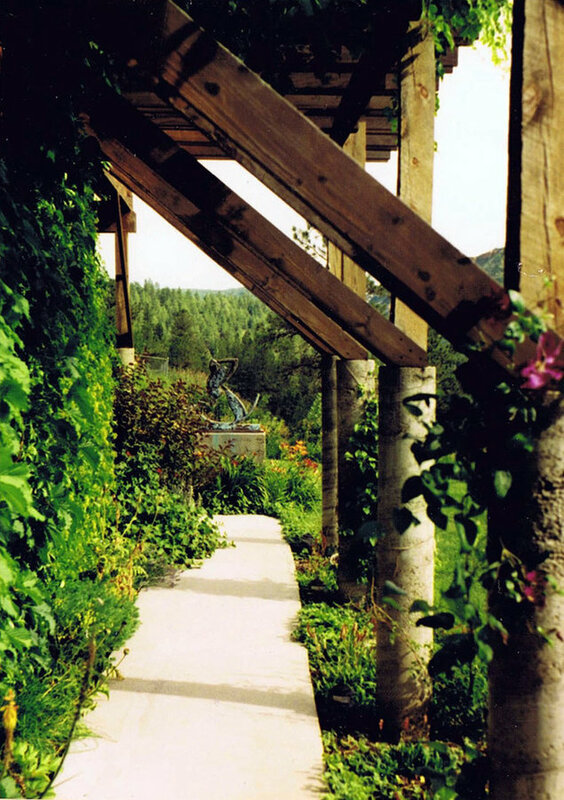 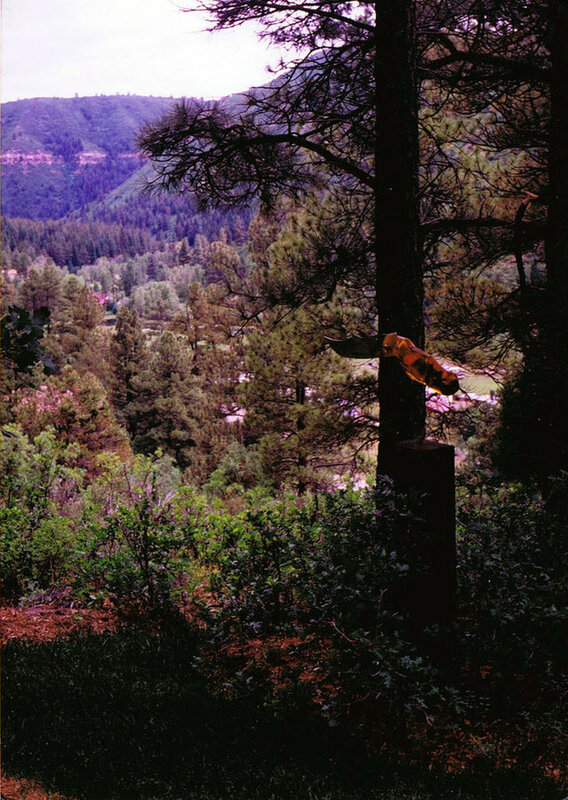 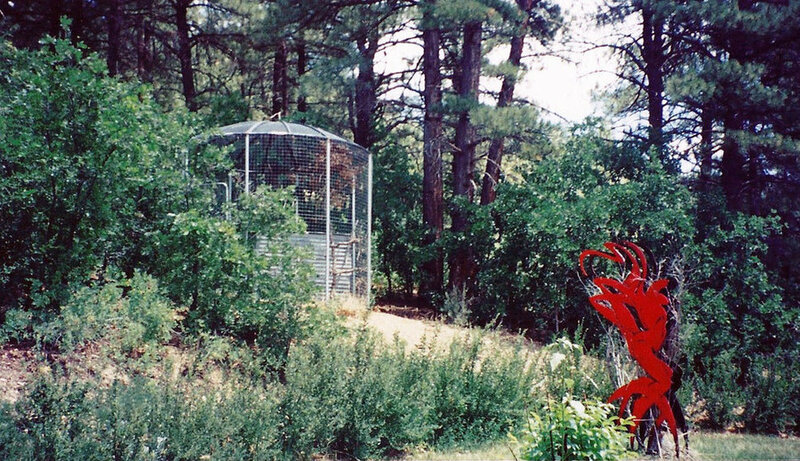 The expansive sculpture garden of Mick Reber Studio in Durango, Colorado, began as a collaborative effort to transform 12 native mountainside acres into a cohesive and usable landscape. 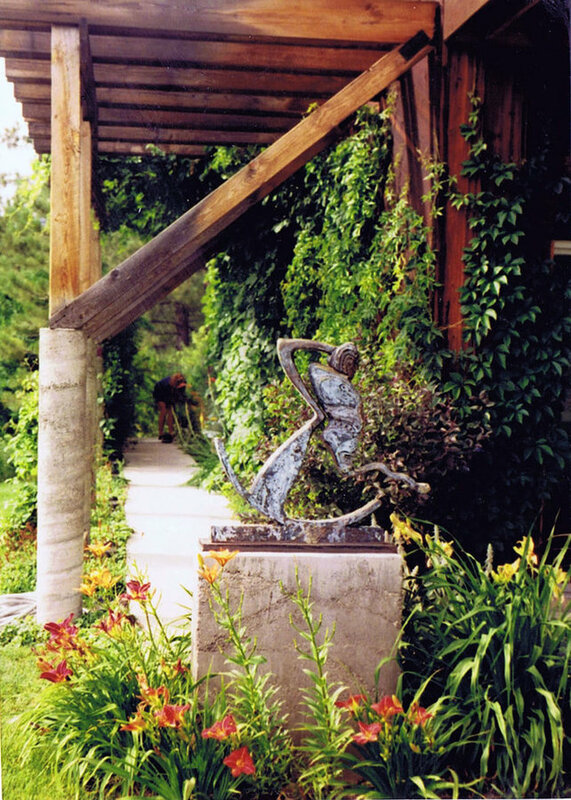 Once this outdoor extension of the gallery space opened to display the artist's large scale contemporary work... it soon became the highlight of every studio tour. 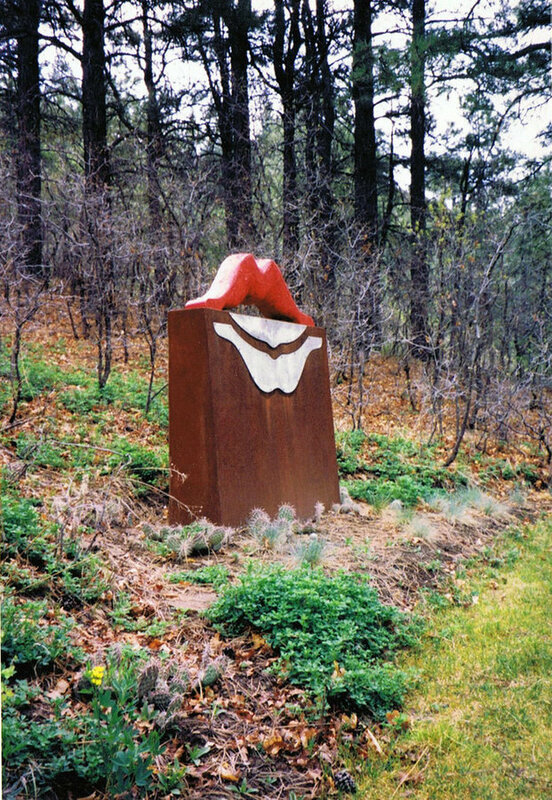 'Hard Rocking Running Bear', 'Mystery's Last Midnight Forest Walk Revisited', 'Red Lips', 'The Jackknife or Whatever Happened to Ester Williams', and 'Firewalker' courtesy of Mick Reber Studio.